>Thanksgiving weekend is finally here! It’s the official start of the holiday season which means good food, good music, and goooooood times. I need to get busy on my list of Christmas goodies to spoil TLB with. 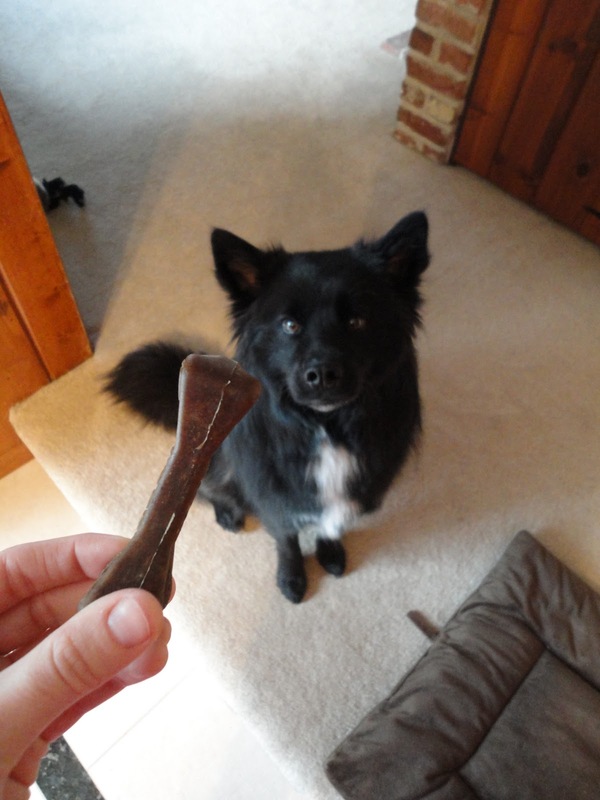 Maybe one of those items will be the product in today’s review: Blue Buffalo’s Blue Bones! 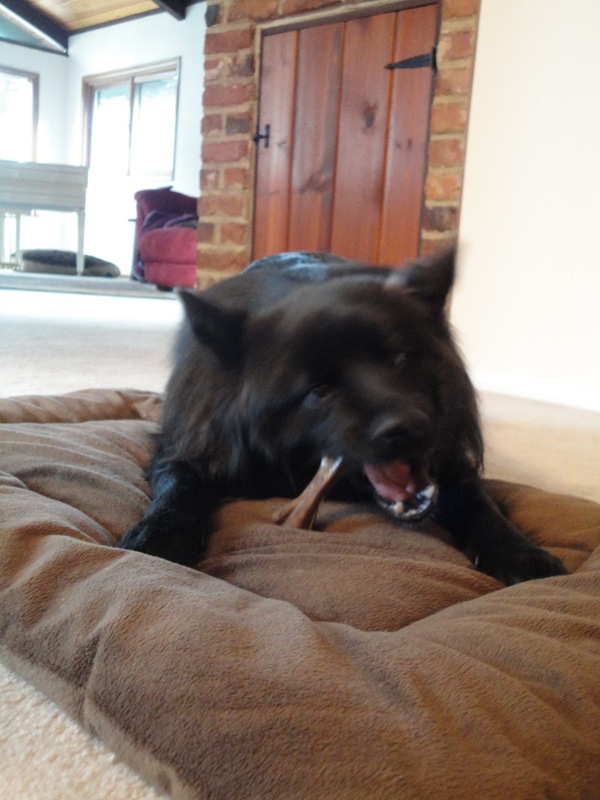 The TLB and I have been fans of various dental chews since he was about six-months old. I don’t know if TLB has good genes or if dental chews really do wonders, but either way we constantly get compliments on how nice his teeth are. 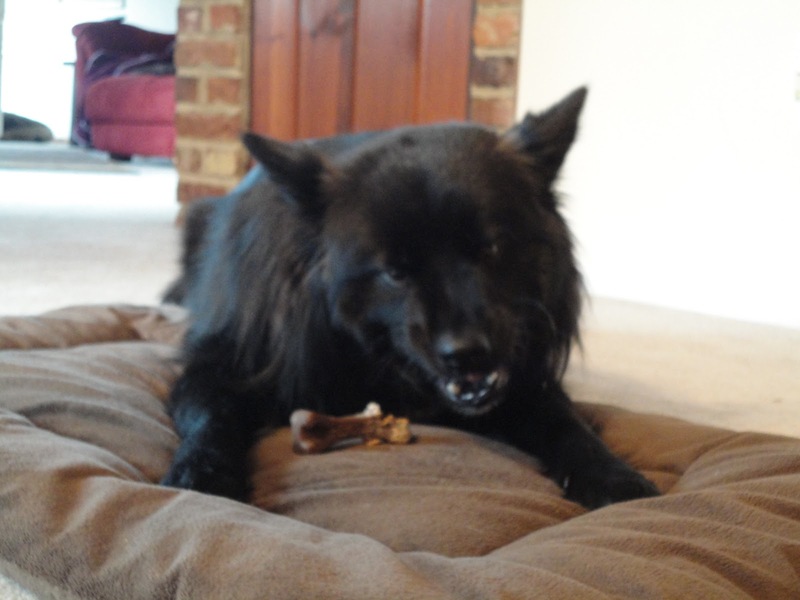 So, I’m kinda scared to think what his teeth might look like if he doesn’t regularly get dental bones and/or chews. Before our monumental trip to the pet store last week, Teton was getting one Greenie per day for his teeth. I switched to Blue Buffalo’s Blue Bones for no reason other than I thought that it might be nice to mix things up a bit. I know a lot of people who are freaked out by Greenies. They have good reason to be. In 2005 a substantial lawsuit was filed against Greenies for the death of a dog whose intestinal tract was blocked by a chunk of a Greenie. There were at least 10 cases in addition to that particular one in which dogs died after being fed a Greenie. Now, who knows if the actual Greenie was completely to blame, but I can definitely appreciate that people were (and still are) scared! Here is an interesting fact: Did you know that Greenies used to be make with plastic? That’s right, actual plastic! Last time I checked dogs can’t (and absolutely shouldn’t) digest plastic. Don’t worry – Greenies have been re-formulated and no longer include plastic on their ingredient list. TLB has been eating Greenies for a year and a half so I can’t knock them too much. He has great teeth. But I always tell people who ask me about dental chews that you should only give them to your dog if he or she takes their time actually chewing and gnawing on the bone. After all, that’s how it cleans your dog’s teeth! 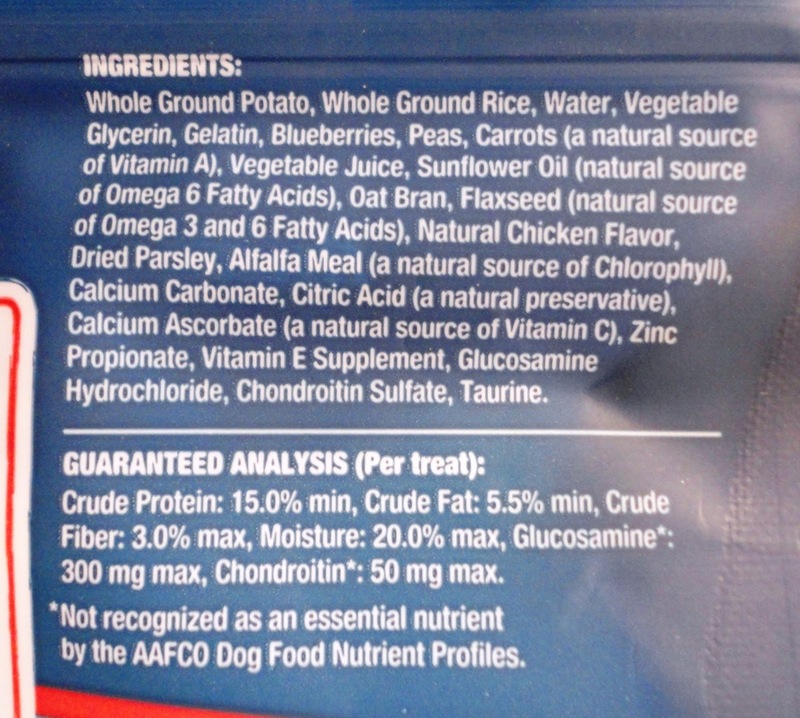 If your dog is a treat swallower, Greenies, Blue Bones, Zuke’s Z-Ridge Bones, etc. are not a good idea. 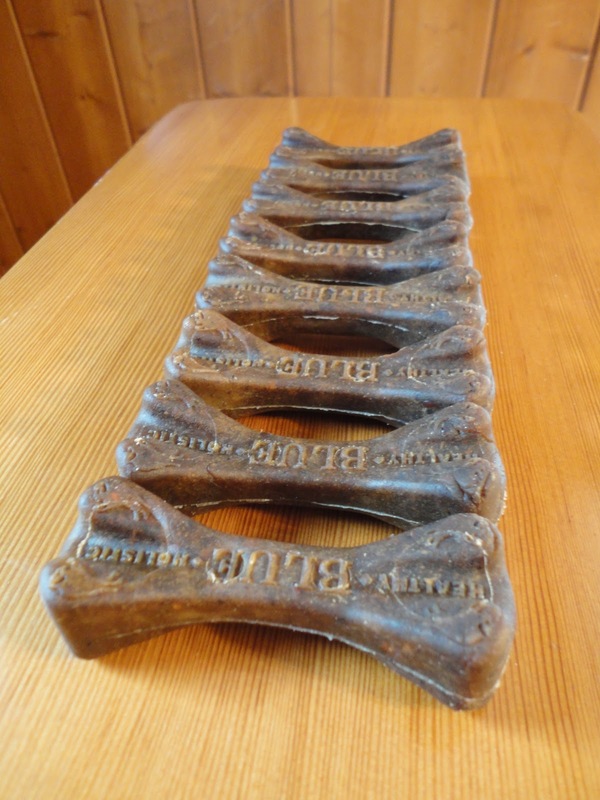 Try bully sticks, pizzle, Himalayan Dog Chews, or Antlerz. They are great alternatives to dental chews. I’ll review all of those types of treats later on. I’ll be the first to admit that I’m having a teensy bit of buyer’s remorse on these guys. For a package of eight bones, I paid…oh, boy…$16.99. I know, I know. Hey, it’s research. For comparison, a bag of 20 Greenies was $14.99. I don’t know if TLB cares. Again, lots of crap that I can’t pronounce. But, wait…this is ahhhmazing! Blue Buffalo’s website has won me over. On each product’s individual page is a list of ingredients with a link describing each individual ingredient! YES! It’s like they read my mind! These Blue Bones are filled with lots of yummies for TLB. I think that what I love most about these is that when I open the package I get a whiff of blueberries. 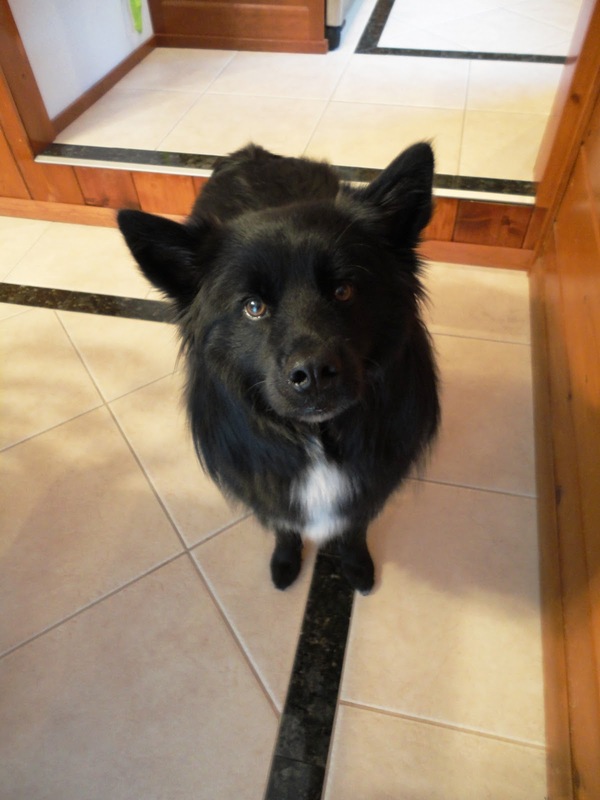 TLB looooooves blueberries and they are really good for both you and your dog. Lets hear it for antioxidants! 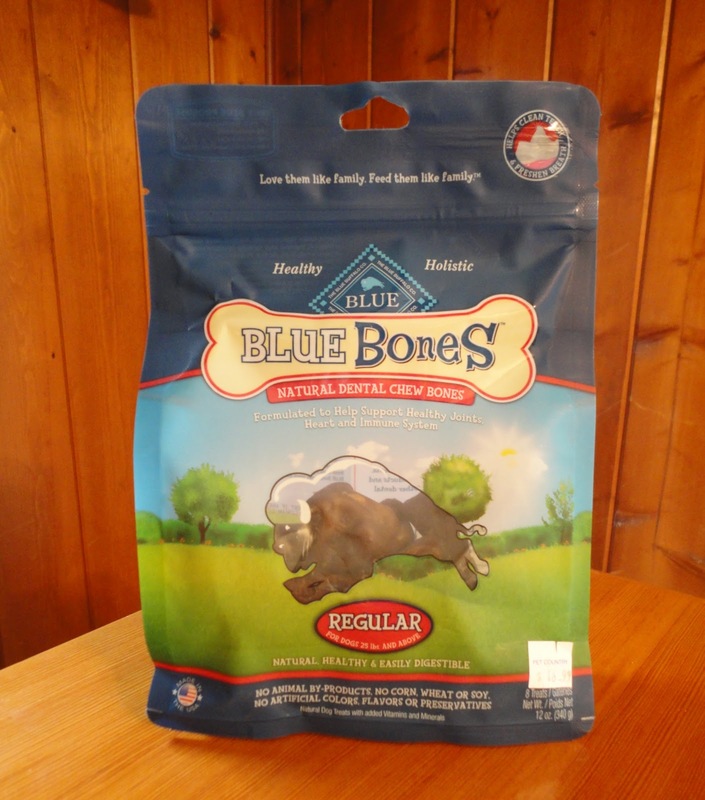 Also, Blue Bones don’t have any animal by-products, corn, wheat, or soy, or artificial colors, flavors, or preservatives. Can I just gnaw on one of these bad boys instead of brushing? He’s been taking his time with these like a good little boy. It takes him about five minutes to go through one Blue Bone. Sure, it would be great if it took him 10, but when I watch him eat one I can clearly see that he is chewing every little bit and cleaning his teeth in the process. All of that buyer’s remorse is fading. The only thing that lingers is that price tag. 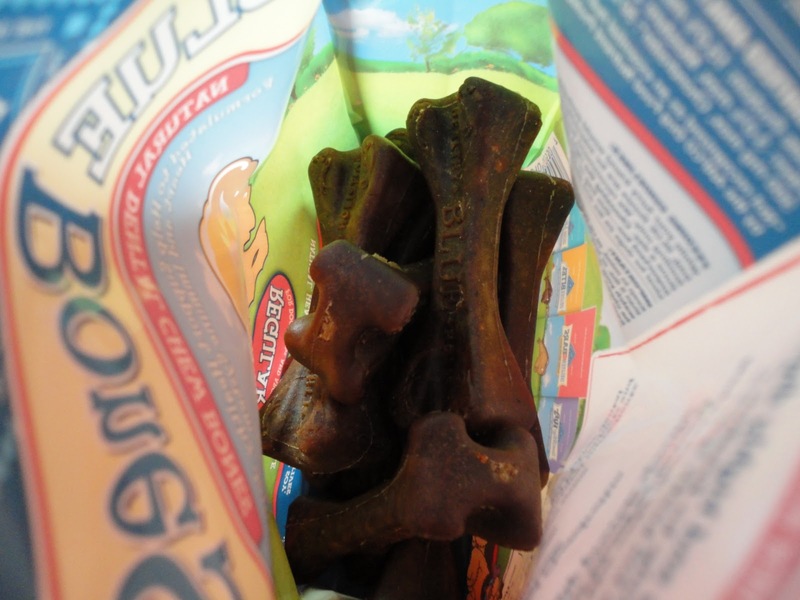 For now, TLB and I give Blue Buffalo’s Blue Bones a seven out of 10. We love the ingredients, the company (or, at least we love their website! 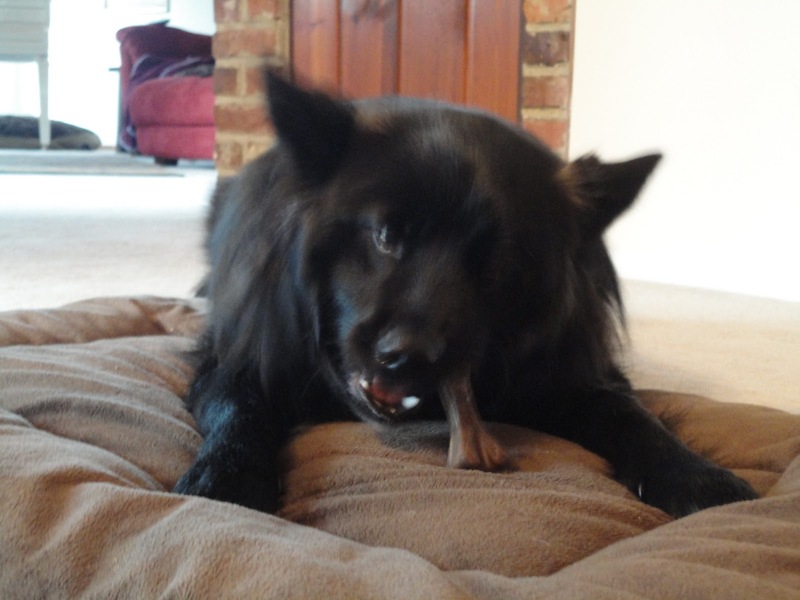 ), and the benefits of these dental chews. Only time will tell if they continue to make TLB’s teeth sparkle and shine! Before I forget, a little update on the bison pizzle: Teton has had two of the remaining three bison pizzle sticks and because of the way he is chewing on them my rating has definitely improved at least one point! It now takes TLB anywhere from 10 – 15 minutes to eat one. I actually think I would buy them again, as they are a great chew alternative (in terms of ingredients). Posted on November 25, 2010 May 14, 2011 by Shannon	This entry was posted in This 'N' That. Bookmark the permalink.